A beautifully illustrated guide tracing the history and development of teddy bears from the early 20th century to the present. Explains how to care for and repair your bears and display them at their best. 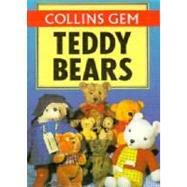 Features a compendium of teddy bear trivia and details of collectors' clubs and publications.